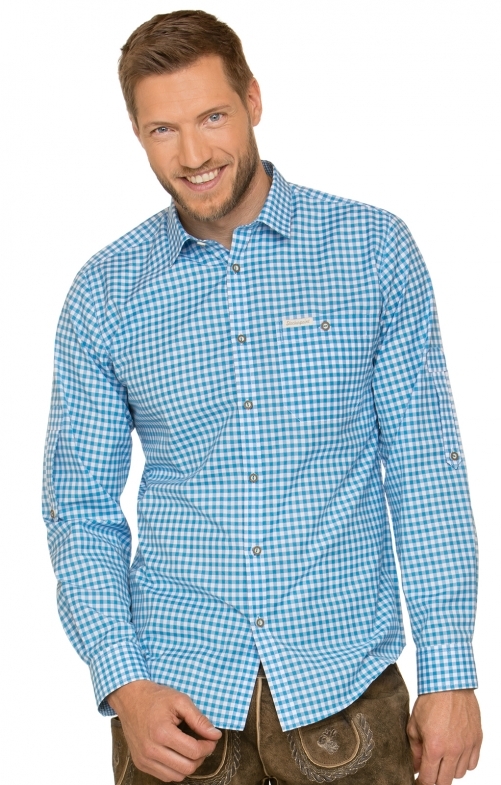 Traditional shirt Campos3 "Comfort fit" for men from Stockerpoint in turquoise. The classic casual shirt in a pleasant blend of cotton features a retro design, traditional horn buttons and an adjustable cardigan arm. The Kent collar, as well as the rounded hem are timeless and the chest pocket complete the overall picture skilfully.